Powerball draw for Saturday went without any jackpot winner. 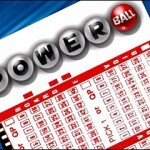 No one could match all the six numbers drawn at the Saturday’s Powerball draw. 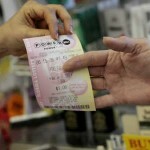 The drawn numbers for this week’s Powerball draw were 02-11-27-47-55. Powerball number for Saturday’s draw was 15 & the PowerPlay number was 04. 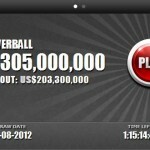 The size of the jackpot for this week’s Powerball draw was $50 million. The winning ticket holder would have won this amount if he or she could match all the 5 drawn numbers & the Powerball number. 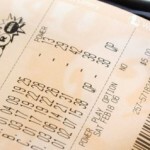 Since no one could win the Saturday’s jackpot the amount of jackpot for Wednesday’s draw would now go up to $65 million. But it is not that no prizes were won on Saturday’s draw. Tickets which could match the first five numbers had the chance of winning prizes of $200,000 each. One such ticket matched the first five numbers & that ticket was said to have been sold in the state of Florida. Two tickets also won prizes by matching the PowerPlay number (04). One each of those two tickets was sold in Tennessee & Texas. On the other hand the Mega Money jackpot increased to $900,000 after no ticket could match all the four drawn numbers plus the Mega ball number. Five tickets won $1,373 each for matching the four drawn numbers & 36 tickets won $418 each for matching 3 of the 4 drawn numbers plus the Mega Ball number. The numbers drawn on Friday’s Mega Money draw were 02-21-31-41 & the Mega Ball number was 03.